Health disparities researcher Sean Phelan, Ph.D., recently spoke about organizational diversity climate and stigma in a Grand Rounds presentation hosted by the Center for Clinical and Translational Science at Mayo Clinic. 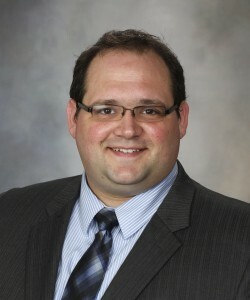 Dr. Phelan is an assistant professor of health services research at Mayo Clinic and a career scientist in the Division of Health Care Policy and Research and with the Office of Health Disparities Research. He is principal investigator on a study funded by the National Institute of Diabetes and Digestive and Kidney Diseases (NIDDK) to understand differences in the counseling of patients with obesity. His primary area of research focuses on stigma and how it may affect the provision of health care and the health care experience of patients. Watch Dr. Phelan's presentation entitled "Organizational Diversity Climate, Stigma and the Well-being of Employees, Trainees and Patients."